Henry Purcell. Dido's Lament. From opera "Dido and Aeneass"
Henry Purcell. Dido's Lament. 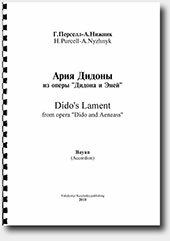 From opera "Dido and Aeneass".